Amy graduated with a masters in groundwater hydrology at UC Davis with Dr. Graham Fogg. She was involved in multiple groundwater projects, but the majority of her work went into establishing, designing and implementing the UC Water groundwater observatory in California’s Central Valley. Amy is a member of Dr. Graham Fogg’s lab at UC Davis where she is involved with multiple groundwater projects and will conduct her own research in the form of a Masters project. Amy Yoder grew up in Sisters, Oregon exploring the Cascade Mountains and the Deschutes River Watershed. She completed a B.S. in Geohydrology from Montana State University in 2015. 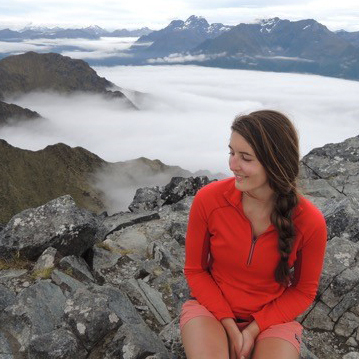 During her undergraduate career she studied abroad in Reykjavik, Iceland and enjoyed many hours of field work. Shortly after graduating she began working as a research technician and writer for the Greater Yellowstone Network of the National Park Service’s Inventory and Monitoring Branch. While working for the NPS, she focused on ecological and hydrological projects. Her main research focus was assessing the effectiveness of restoration projects on water systems within Yellowstone National Park.